Reuse and deconstruction are growing in Minnesota, and we’re excited about the opportunities to help lead Minnesota to a cleaner, Zero Waste future! Recently, we were featured in the Star Tribune, where Neal St. Anthony highlighted our ReUse Warehouse, online store, and deconstruction services. Two nonprofit enterprises, Better Futures Minnesota and Habitat for Humanity, are opening used building-materials, appliance and fixtures stores within a block of each other on a mile of Minnehaha Avenue S. between 26th and 38th streets that features retailers peddling used and recycled goods. Better Futures Minnesota recently opened its store at 26th and Minnehaha and also launched an online e-commerce site for reclaimed building materials. Better Futures, which employs 72, most of whom are reentering the workforce from prison, also provides “deconstruction services” that Hennepin County says are cost-effective and better alternatives to demolition. 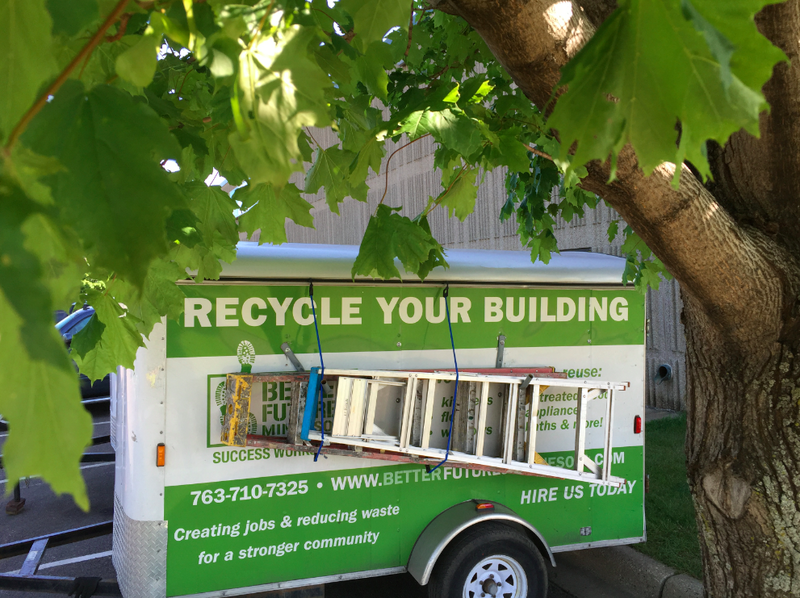 Eighty five percent of a building is recycled.